Delhi just got a new, one-of-its-kind tea lounge. 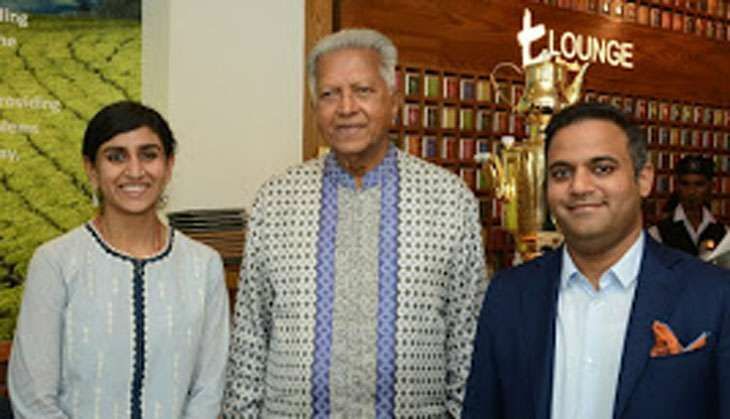 Dilmah, the popular tea brand from Sri Lanka, has opened shop in Delhi's Khan Market, bringing Ceylon's finest brew to the national capital. An exclusive t-Lounge was inaugurated on 20 July, with founder Merrill J Fernando and his son, Dilhan C Fernando, in attendance. With tea-based mocktails, shakes and an exotic range of snacks up for grabs on the menu, the Dilmah t-Lounge in Khan Market promises to be a unique experience for tea connoisseurs. The tasteful interiors of the tea cafe perfectly complements the plush yet traditional vibe that the Dilmah brand of teas is associated with. Alongside a wide range of brews, the menu boasts of crepes, waffles and cheesecakes as accompaniments. Addressing the guests at the launch, Dilmah founder Merrill J Fernando said, "We are delighted with the warm and positive response that we have received in Delhi. After Delhi, we will look at opening other outlets at selected locations in the country. We look forward to delighting many more tea lovers in India via the exclusive tea experience at our lounge." The single-origin Dilmah tea is sourced from some of Ceylon's best tea estates. The meticulous manufacturing process, coupled with state of the art printing and packaging facilities ensures that your teacups are filled with only the best quality brew. The Dilmah t-Lounge was first conceptualised in the year 2003. The first ever outlet opened in Chatham street in Colombo.